Do you think you or a loved one may have hearing loss? You aren’t alone. Over 30 million people have hearing loss and only about 25% of them are doing anything about it. 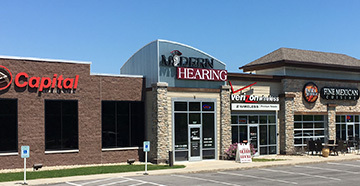 Stop wondering about hearing loss and schedule a hearing test with Modern Hearing. Hearing tests are quick, noninvasive and completely painless. The only thing you have to lose is the habit of asking people to repeat themselves! Your hearing instrument specialist will want to know about your history of major illness and any medications or supplements you take on a regular basis. Hearing can be temporarily or permanently affected by disease or ototoxic prescriptions. So take a minute to write down a list of medication. Take a few moments to consider your most challenging hearing situations. Your hearing instrument specialist will ask you questions about this, and it’s best to be prepared. You may want to bring a friend or family member with you to help answer any questions and provide emotional support. Hearing tests are not painful, but you may feel nervous or anxious about the results. Hearing tests are completely painless. For the majority of the test, you will wear headphones and make a signal with your hand or press a button when you hear a sound. Pure tone audiometry determines the softest sound you can hear by playing different sounds at different volumes. Each ear is tested separately. The hearing instrument specialist marks the results charted on an audiogram. You may undergo additional tests such as speech audiometry to identify your ability to hear and process speech. Your hearing test results are charted on an audiogram to create a visual representation of your hearing level threshold. 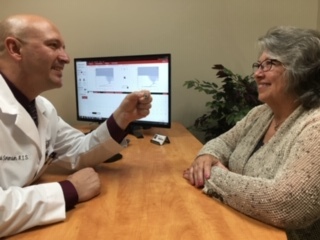 Once the tests are complete, your hearing instrument specialist will interpret the results for you and discuss your options for better hearing. 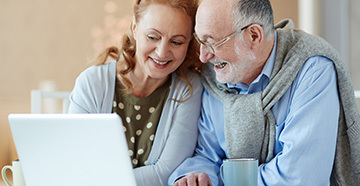 If hearing aids are recommended, you’ll be given an expert opinion of the hearing aid style that best fits your lifestyle, hearing ability and budget. 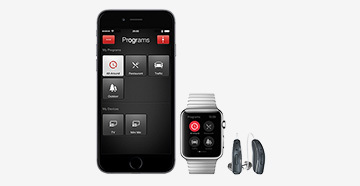 Features and options will be discussed to ensure that your hearing aids are perfectly personalized for your needs. If you are experiencing hearing loss, visit Modern Hearing to learn more about how hearing aids can help you communicate easily with the world around you again.